This weekend, my daughter Annie and I did a first…. 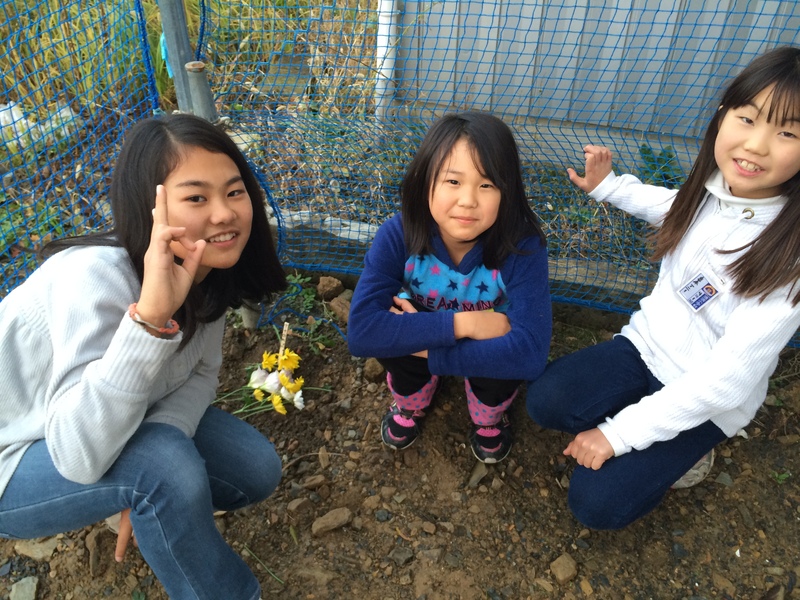 we helped officiate the funeral of a hamster… of our friends! It was her good friend H.’s hamster. H.’s mom works with me at the Nozomi Project. It was a really awesome thing to be invited into this family event. What made this ritual extra special was that they were burying their beloved pet at their new home that is being built. 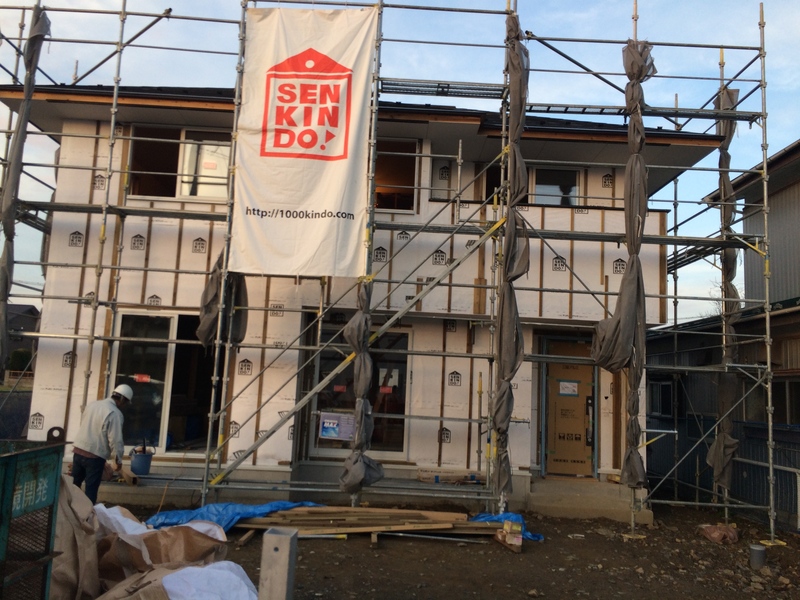 It was our first time to see the construction site and the house being built. 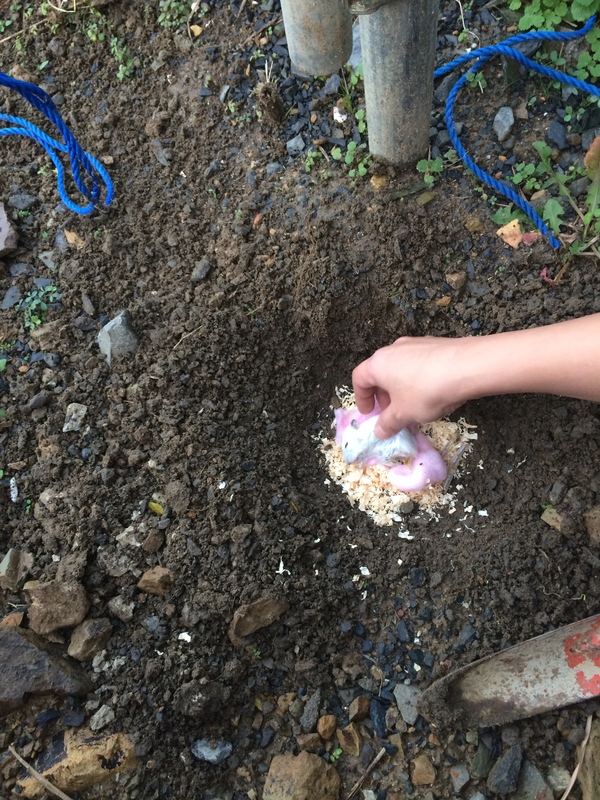 Annie, H, and H’s sister gave Nana the Hamster a proper burial! 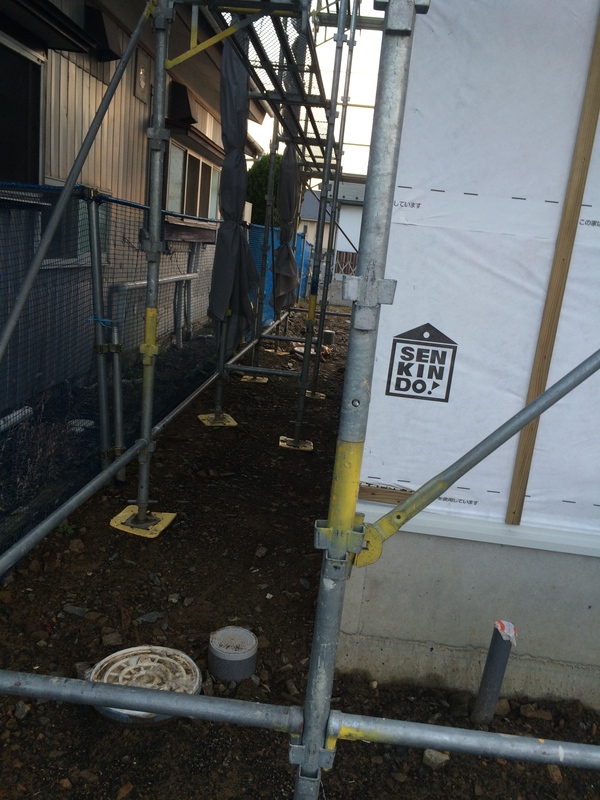 I asked H’s mom about this property where they were building their new home. It’s just about a five-minute walk from our home. From the shards around, I knew it was an area that had been hit hard by the tsunami. She explained that her parents had lived on this land- she had grown up there. The tsunami had washed away her family home. 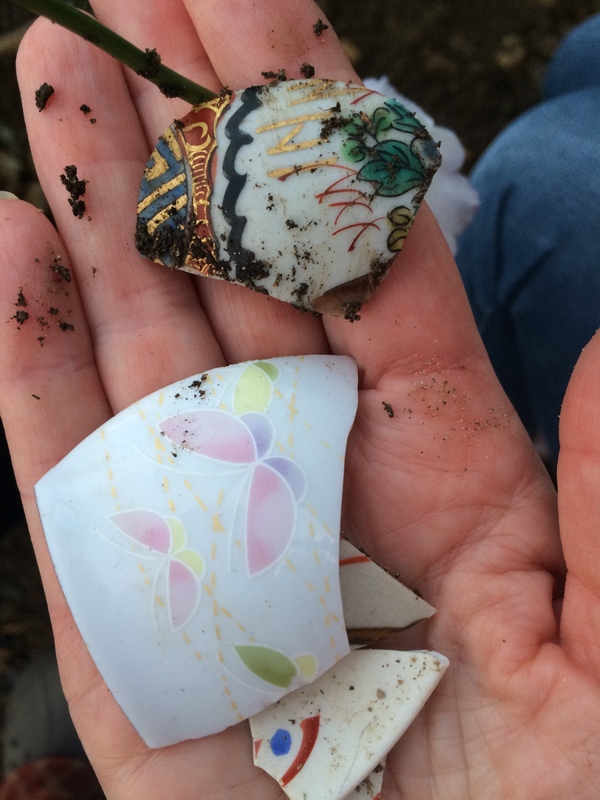 I asked if her parents had come back after the tsunami and looked for their things… if any of these broken pieces could have been from her parents’ home. She said they didn’t have the heart to come back and see the land. Not even once. 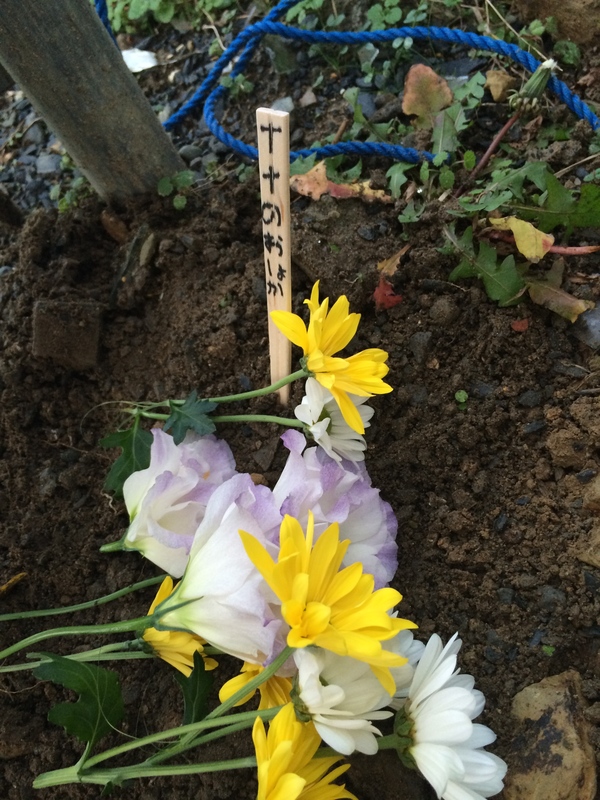 But on that same piece of land that had seen terrible devastation… and now was receiving the body of little Nana the hamster, a new home is being built. My daughter Annie will probably spend many happy days playing inside these walls with her friend. We are thankful to be invited into the lives of the friends in our community; and so thankful for the new beginnings that we see around us of rebuilding and restoration. What a wonderful story of redemption! Thanks, Chandra. It’s so encouraging to see God at work in little and big ways!